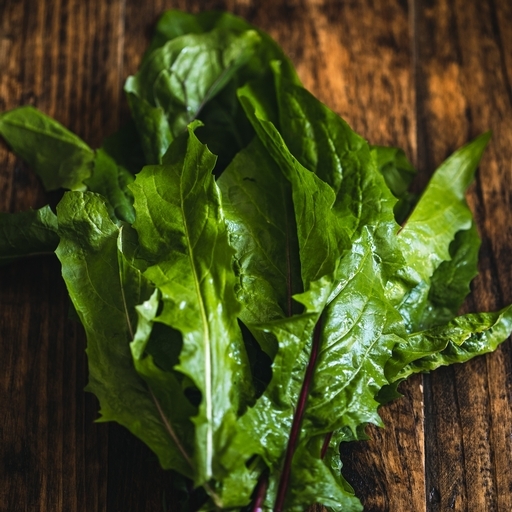 Organic dandelion leaves, grown on our Devon farm, offer welcome pep for stew-jaded winter palates. They aren’t just pesky weeds! Enjoy their fresh bitterness raw in salads balanced by a good, sharp dressing, or wilt into creamy pasta sauces to cut through the richness. Enjoy in an elegant French-style salad with crispy bacon, soft-boiled eggs and a mustardy vinaigrette. Or give Guy’s favourite a try: blanch the leaves, add them to sautéed garlic and chilli along with a dash of cream. Serve with linguine or spaghetti and lots of Parmesan. Delivered from our farm, so wash before eating. Keep in the bottom of the fridge - best eaten as fresh as possible. We grow the Italiko Rosso variety; an Italian chicory with a distinctive red midrib. It becomes too bitter in the summer months, so we stick to winter, and grow it in the polytunnels on our Devon farm.